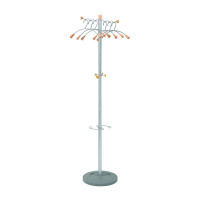 This elegant coat stand is designed for use with the 6 supplied coat hangers. 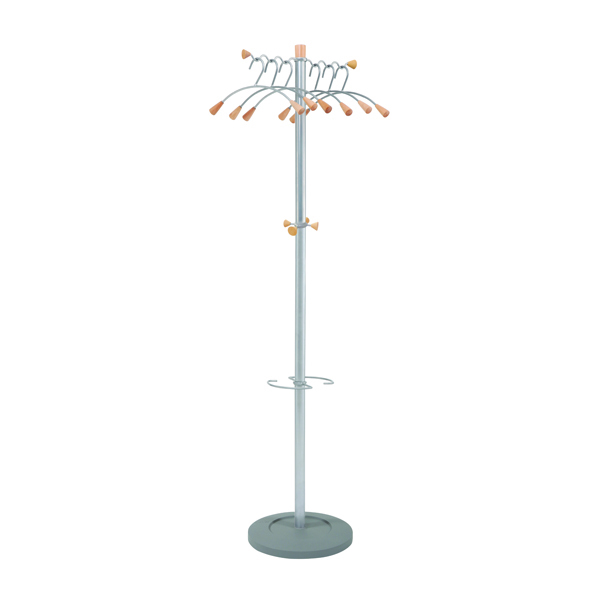 It features two long coat pegs with rounded tips, which will hold the coat hangers and can fit more than six if needed. The stand also includes an integrated umbrella holder with water reservoir for rainy days and is 1750mm in height.